Flying is often called an irrational fear. But denying that risks are involved is irrational in itself. Knowing risks, but realizing that it is incredibly unlikely that these will happen is the first step to conquering the fear itself. Flying can actually be an enjoyable experience. If you’re going on vacation, think of the end result, and enjoy the rare peace and quiet you get during your flight. Crack open a good book or watch some films, and try to ignore your biologically programmed fears. Why can it seem irrational? One of the main reasons people have a fear of flying is because they have a fear of crashing. In fact, 12.5 million people in the US have said that their fear stems from the idea that the aircraft could crash. When you look at the statistics, the number of deaths related to airplane crashes are minimal. From 1982 to 2010, there were a recorded 3,288 airplane related deaths, whereas an average of 3,000 people die EACH year from complications from medical procedures. So, you know, you’re actually pretty safe 35,000ft up in the air. Because statistics make everything better. You can always trust numbers, right? Sorry, to say this, but we’re all going to die, but the statistics show that you are more likely to die in an everyday occurrence, than in an aircraft accident. During your lifetime, your odds of being in an air travel accident are 1-in-2,000, compared to 1-100 for an auto accident, and 1-in-5 will die from heart disease. Hurrah for Science! Research into brain activity has shown that when the brain senses that something is happening around you that is not part of your normal routine, the amygdala part of your brain becomes stressed and releases stress hormones. This release of hormone creates changes that are synonymous with fear. 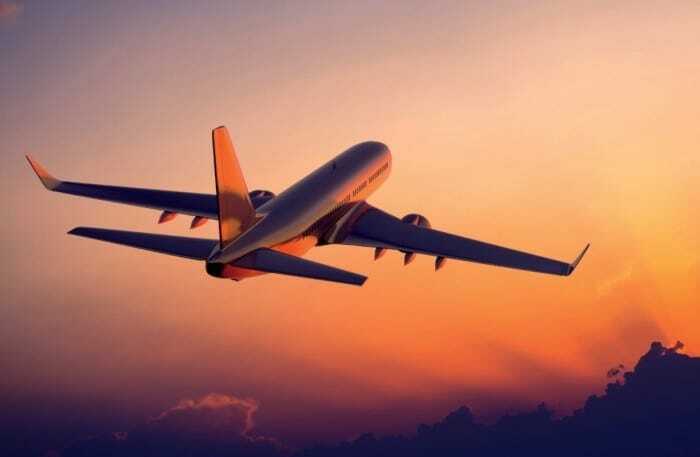 Flying on a plane is not an everyday occurrence for the everyday individual, so this change will result in increased breathing rates, increased heart rates, perspiration, and the urge to escape. Sound familiar? Although you may know and understand that the risk of crashing or being involved in an accident while flying is highly unlikely – there is still that chance, and denial kicks in. When the brain doesn’t get a definite answer for something, it likes to over think and look into every ‘what if?’ eventuality. This means that the flyer cannot commit to a full plan of action, and this overthinking results in fear of flying, but we can’t help it. There are a lot of people who are superstitious across the world. Don’t let a black cat cut across you on the road, don’t step on the cracks for fear of breaking your mother’s back, and some people even get superstitious over their dreams. Because of initial worry, a lot of people dream that the plane is going to crash before they are due to fly. This is called anticipatory anxiety, and this can result in their fear being heightened, or the person just not getting on the flight at all and avoiding air travel of the rest of their lives. Being in control of your own life is one of the small joys in life. However, when you fly, you are just a mere passenger, being flown across oceans thousands of feet up in the air. When you board a plane, you are giving complete control to the pilot and crew of the plane, and this can cause intense anxiety for a person.